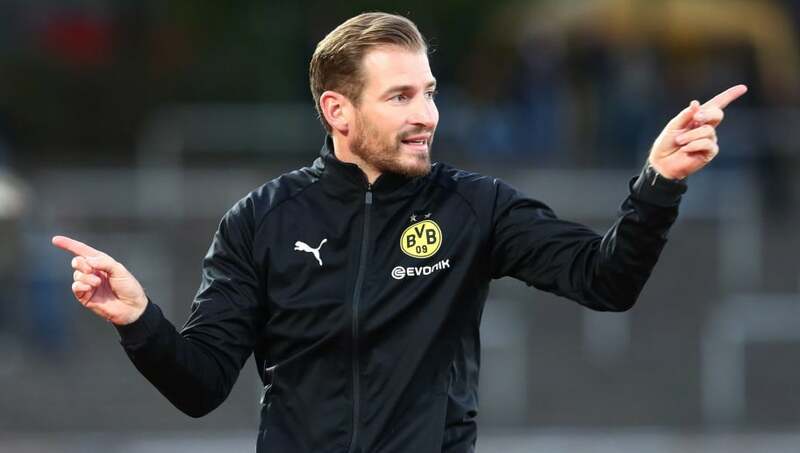 ​Huddersfield Town are reportedly close to hiring Borussia Dortmund Under-23 coach Jan Siewert to replace ex-boss David Wagner, who left the club by mutual consent earlier this month. Huddersfield chairman Dean Hoyle was very clear in the assertion that Wagner was not sacked and put the 47-year-old in the same bracket as Terriers legends Herbert Chapman and Mick Buxton after guiding the club to the Premier League and surviving into a second season. Instead, it was ​Wagner who informed the club of his wish to step down, citing the need for a break from 'the rigours of football management' and offering to walk away either immediately or at the end of the season, whichever scenario the club felt was best. That Huddersfield have settled on Siewert as a successor suggests a keenness to keep the legacy going as Wagner was also Dortmund Under-23 coach prior to moving to West Yorkshire. The news of Siewert's seemingly imminent arrival comes from German publication SportBild, which states that Huddersfield are set to pay €300,000 (£265,000) to release the 36-year-old from his role at Dortmund. Alen Terzic has already been lined up as a replacement there. Huddersfield's next Premier League game sees them host reigning champions Manchester City at the John Smith's Stadium on Sunday. The tough fixture list will then continue with games against Everton (H), Chelsea (A) and Arsenal (H) over the coming weeks. The Terriers then face struggling Newcastle (A) and inconsistent Wolves (H) in the space of three days at the end of February, games which could potentially define the season.